Black Fruit of the Loom Valueweight t-shirt with large prints + limited black vinyl in gatefold sleeves + digital download. With a history tracing back to the epicentre of melodic death metal in Sweden, OCTOBER TIDE have come a long way and have generated a spark that is strongly felt in the energy of the scene. 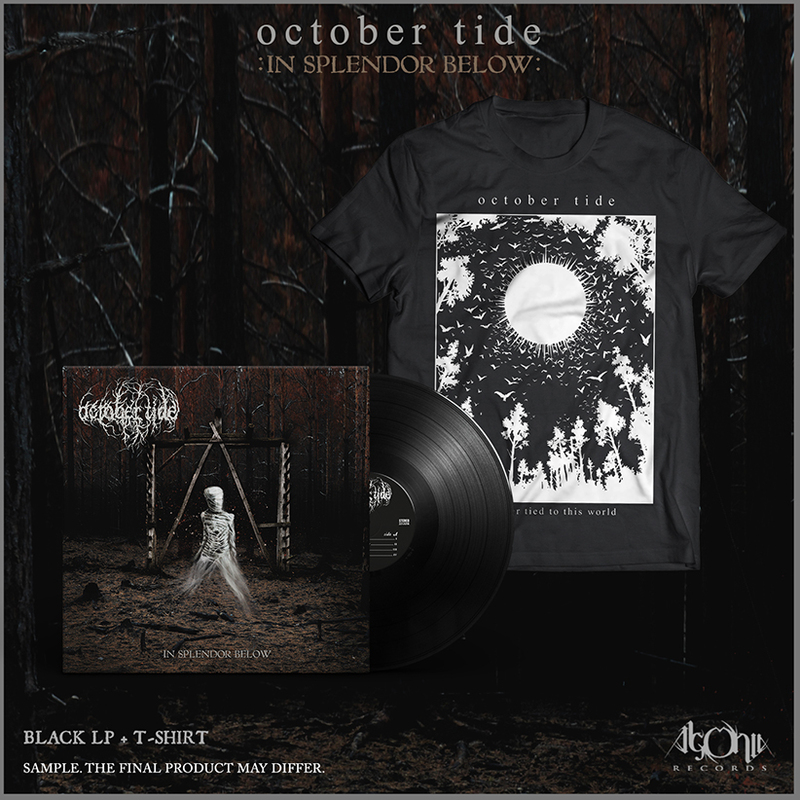 "In Splendor Below" is the latest addition to their vibrant discography of guitar-driven, emotive death/doom metal art. It packs some of the most authentic and unique compositions from the capable hands of founding member and long-time Katatonia guitarist, Fredrik Norrman, his brother and guitarist Mattias Norrman (ex-Katatonia), vocalist Alexander Högbom (Demonical), bassist Johan Jönsegård (Letters From The Colony) and drummer Jonas Sköld (Letters From The Colony / Thenighttimeproject). While Fredrik prefers for the music to speak for itself, he finds the new album "a bit more aggressive, a bit more death metal, and with an overall colder feeling than previous records".